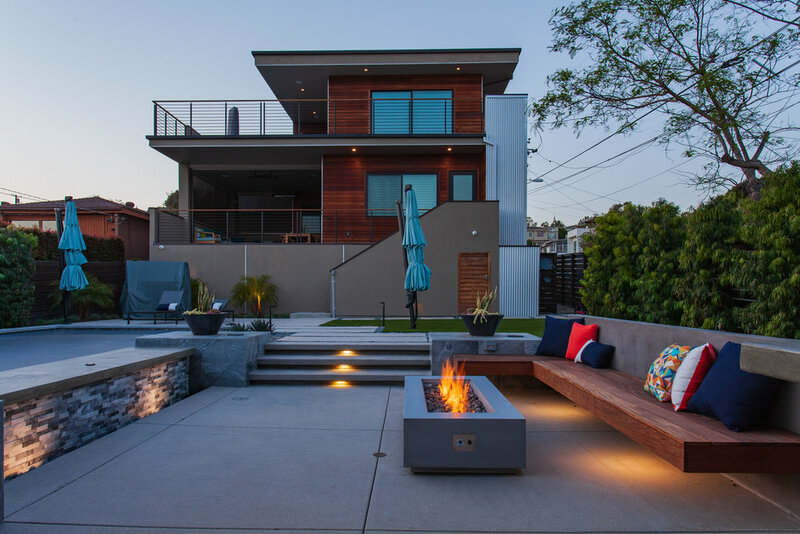 LUMACAST is Southern California's premiere provider of concrete Fire and Living features. We believe that great design and exceptional craftsmanship have the power to bring people together, creating meaningful conversation and lasting memories. Our architectural features are individually handcrafted in San Diego, California. Our team works with the highest quality materials and the utmost care to ensure that your new concrete fixtures will be an enduring addition to your living and entertaining spaces. Soft curves and crisp lines create a dynamic interplay between light and shadow across the polished surface of our SPUN fire table . Our new premiere & unique design (patent pending), SPUN is available in three sizes and a wide range of colors, making it an easy addition to your outdoor living and entertainment spaces. Crafted from high-performance concrete, the CONFLUENCE Lounge explores the convergence of three separate curved planes into a singular ergonomic form. CONFLUENCE is available in any of our signature colors, making it the perfect focal point or addition to your outdoor living space. Sign up for our periodic newsletter to receive the latest on upcoming products, email-only promotions & updates on the goings-on here at LUMACAST HQ. As always you may opt out at any time. We hate spam as much as you do. We promise not to inundate your inbox with emails or sell off your data. Your privacy is important to us! Please make sure to check your inbox for a confirmation email.